Hailing from the Omegalon Galaxy and the planet of New Praetoria, the Praetorian Empire & Commonwealth is known for its vast and powerful starfleet, as well as being one of the affable planet destroying empires in the Brikverse. The Praetorian homelands are a place of contrast, with the inner regions of Domoculus and Shekor enjoying vast wealth, with its citizens living hedonistic and debauched lifestyles. Money flows as freely as all manner of recreational drugs and other, more perverse indulgences. 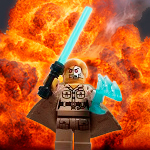 At the same time, life in the outer regions of Averkon and Terminate can be brutish and short. Frontier worlds that are sparsely populated, and ill-suited for colonisation. The only thing stopping groups like the Space Mafia from thriving is the lack of money making opportunities. These regions suffered numerous raids during the Xenkan Incursions of GR 2011. There are also separatist groups that cause sporadic violence, and waves of peach refugees coming in from mainland Nehellenium, displaced by the Assyrian crusades. Praetoria is Anti-Immortal, Pro-Allied Nations and increasingly interventionist in Nehellenium. Hoping to carve out sectors there for itself. Last edited by dilanski on Mon Oct 15, 2018 8:46 am, edited 26 times in total. While not the only fighting force Praetoria has to offer, the Marines are the most widely touted. Seeing action in domestic conflict, to the Immortal and AN-TA wars. 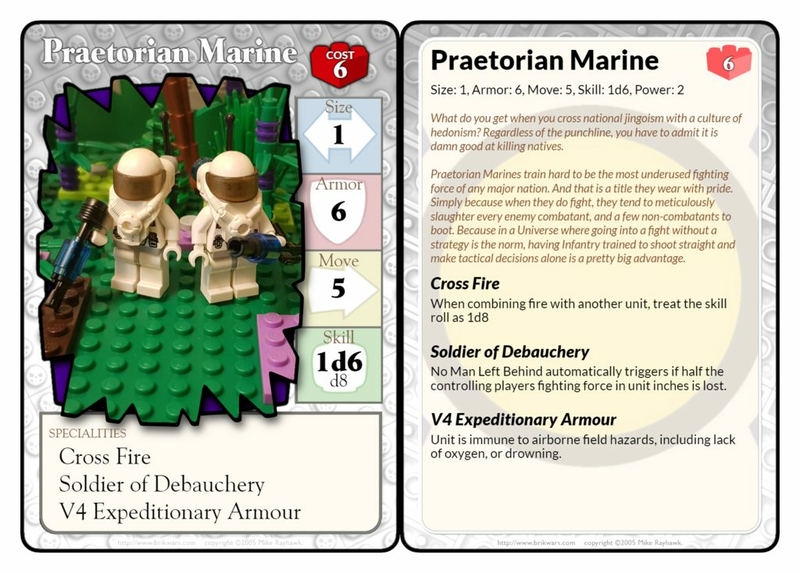 The modern Praetorian Marine is equipped with V4 Expeditionary Armour that provides biological, chemical and radiological protection, as well as guarding against the vacuum of space and providing a level of aquatic capability. Current weaponry in use is produced by the longstanding Krukov Foundries, and consists of the C2 Plasma Carbine and A7 Plasma Battle Rifle. Last edited by dilanski on Wed Dec 06, 2017 11:24 am, edited 2 times in total. The Guardian is often called the Marines best friend. 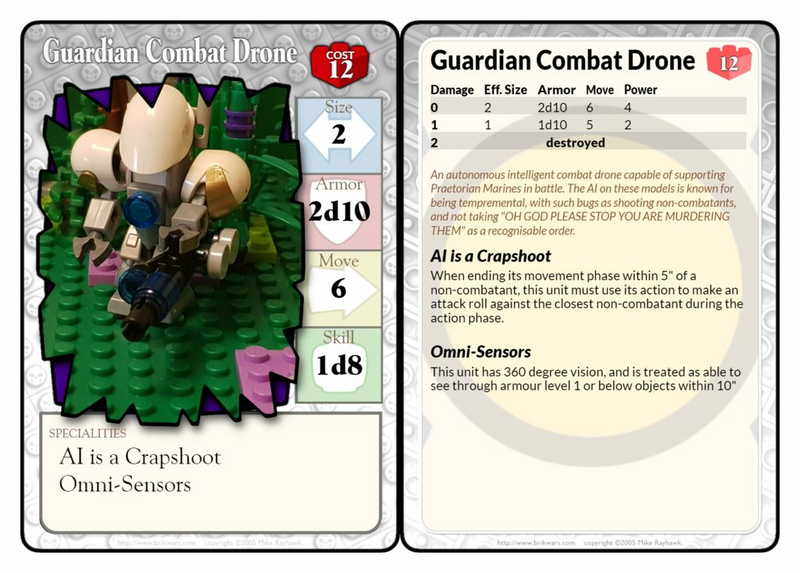 Touting heavy weaponry, and an AI designed to shoot first, confirm IFF later. The real boon this drone provides to its squishier counterparts is the advanced sensor suites it comes equipped with, allowing it enhanced situational awareness. 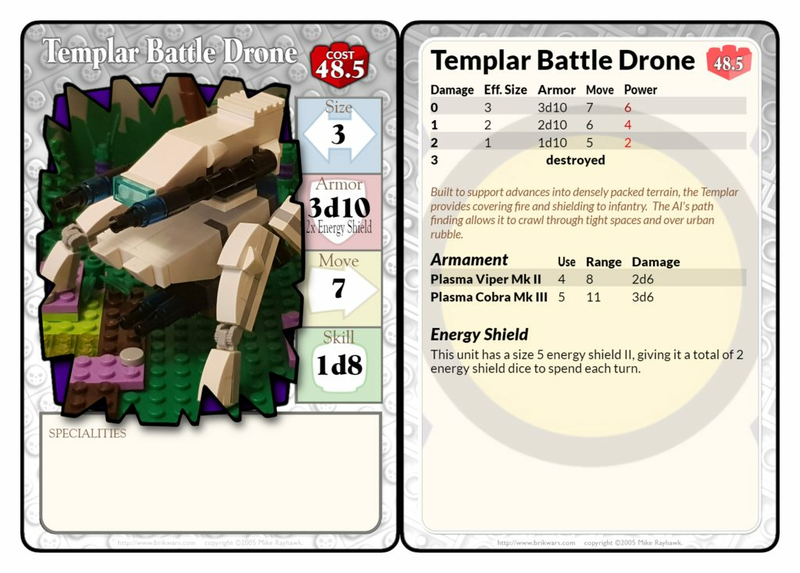 The Templar supports both Infantry and vehicles, bringing some strong firepower in a compact and all-terrain package. While its AI has been toned down compared to the Guardian, it can still pose a threat. 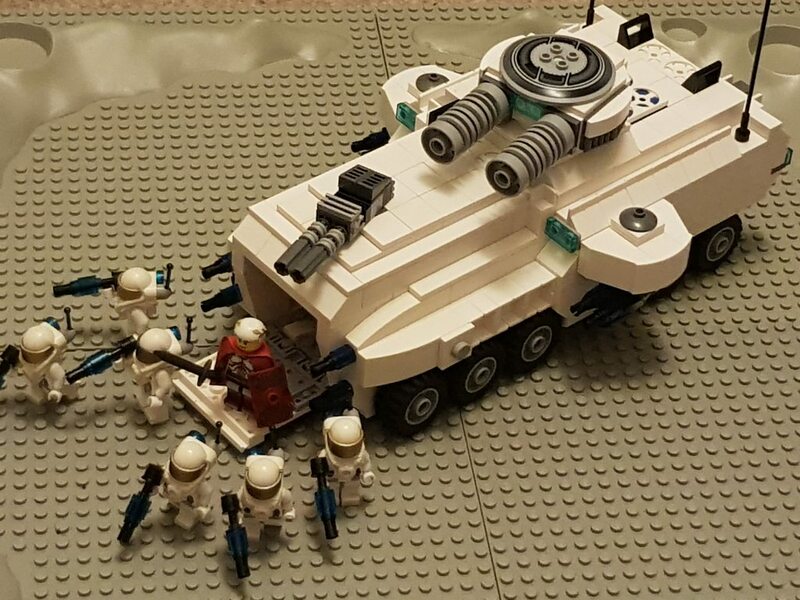 Notable is its large shield, designed to cover vehicle flanks, and give pinned down infantry cover beneath it. A throwback to when domestic security was a bigger concern for Praetoria. 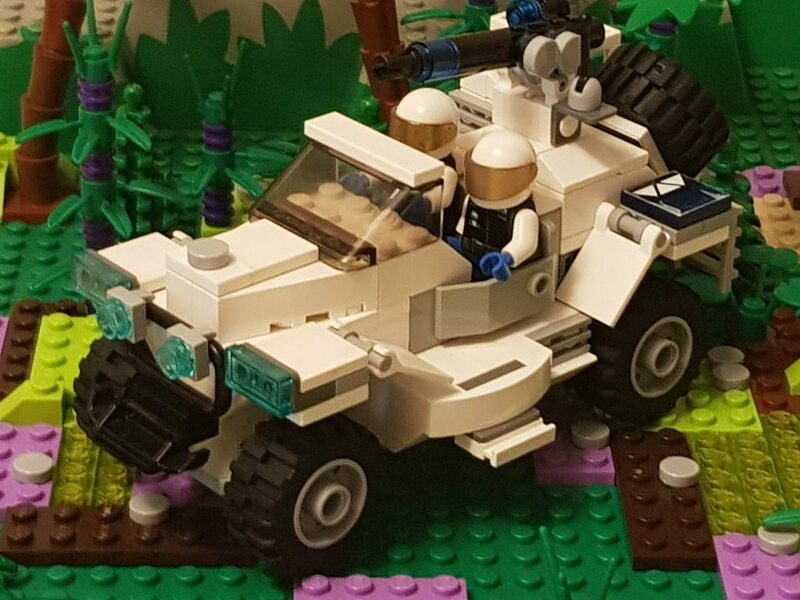 In the past this vehicle would have been considered a well rounded weapon system, but now these kinds of vehicles are kept in a more suitable limited role. Last edited by dilanski on Wed Jun 14, 2017 4:45 am, edited 1 time in total. 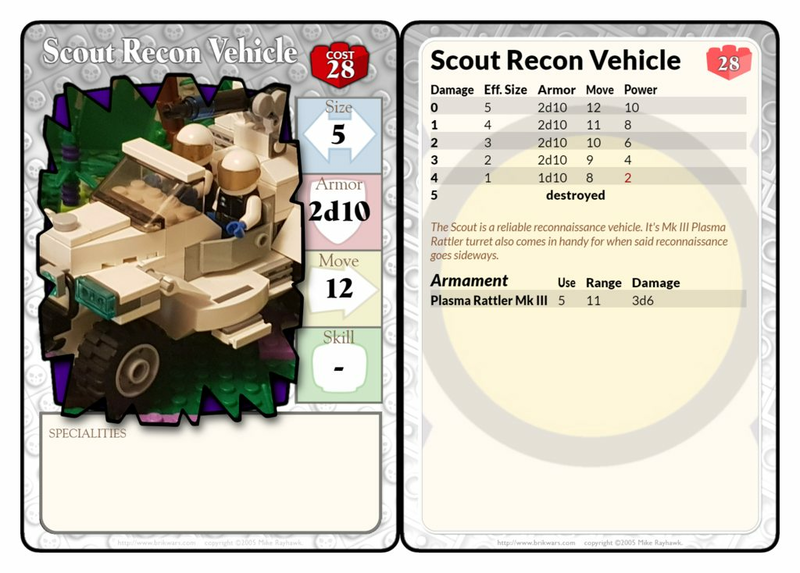 A multi-purpose armoured vehicle, the Commando doesn't need to why away from engaging a variety of targets. 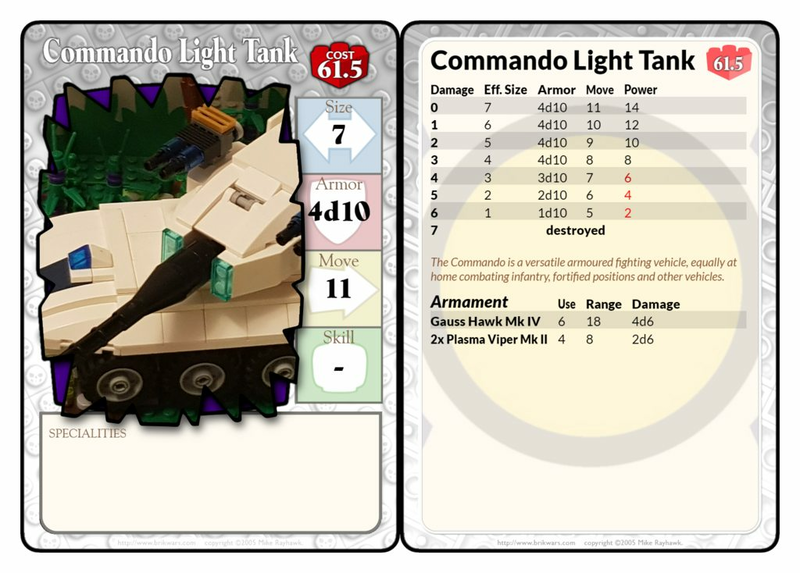 While not quite on-par with the numerous MBT's fielded across the Brikverse, the Commando is readily available for a variety of missions. Location: I'm here, I'm there, I'm everywhere. So beware. What did you use to make the flag? It looks Ossum, and I can't wait for Alkerian laser weapons to SHRED IT INTO A THOUSAND PIECES! MWA HA HA HA!!! AnnoyedZebra wrote: why is the dork knights groin shiny? Stubby wrote: It's a dork in shining armor. Really, if you're going to be a dork knight, the dork has to be the shiniest part. 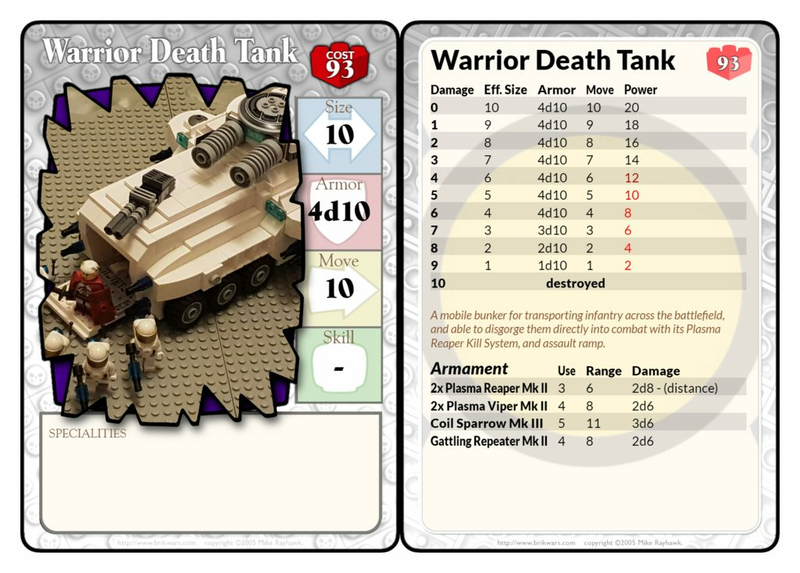 A Death Tank purpose built for deploying marines into the heat of battle. 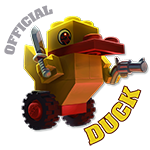 Built to withstand a variety of crippling hits, and protect its cargo up to the target. 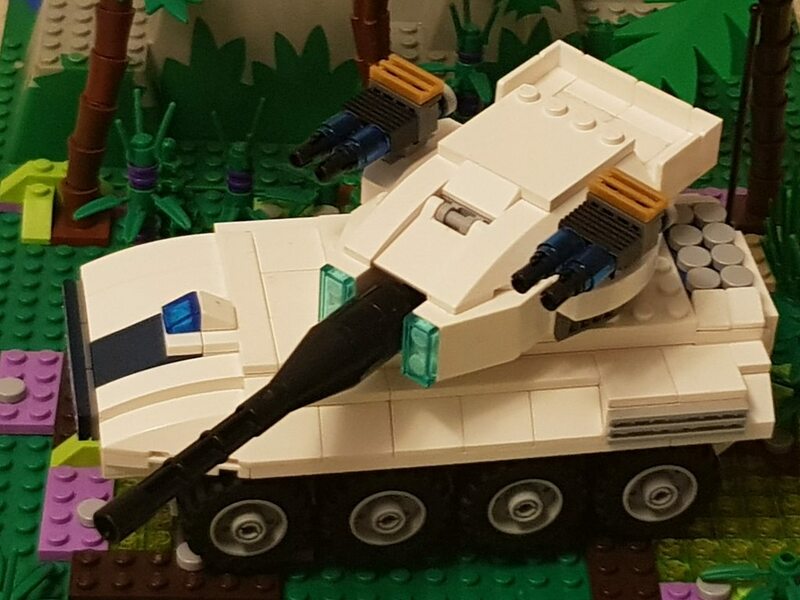 The Warrior will then fire off its forward mounted Plasma Reaper blastguns to clear the area. At which point its occupants can quickly disembark to take whatever objective they are tasked with holding. Last edited by dilanski on Wed Jun 14, 2017 11:04 am, edited 1 time in total. Orbit to ground strikes are often used to create defensive craters from which Praetorian infantry can stage. Here we see one such crater on the beige planet of wince--ford VI. 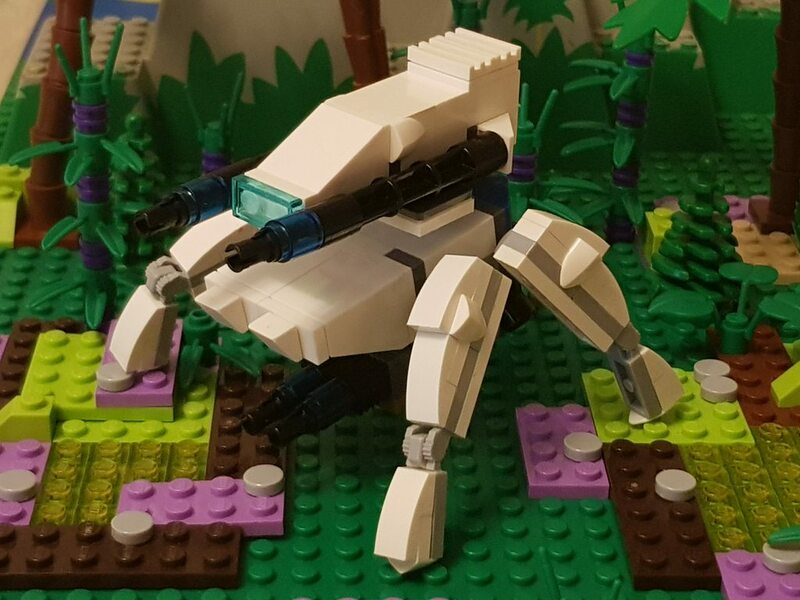 Inside a Crusader-Class SHDT disgorges marines into cover, protecting them from the hostile peach inhabitants of this world until the rest of their armoured division is ready to cover their advance into the nearby peach hive city. The Crusader-Class was a direct response to the need for a weapons platform that can fight its way through the toughest of situations, while still able to function in the anti-insurgency role that the Praetorian Marine Corps often fill. 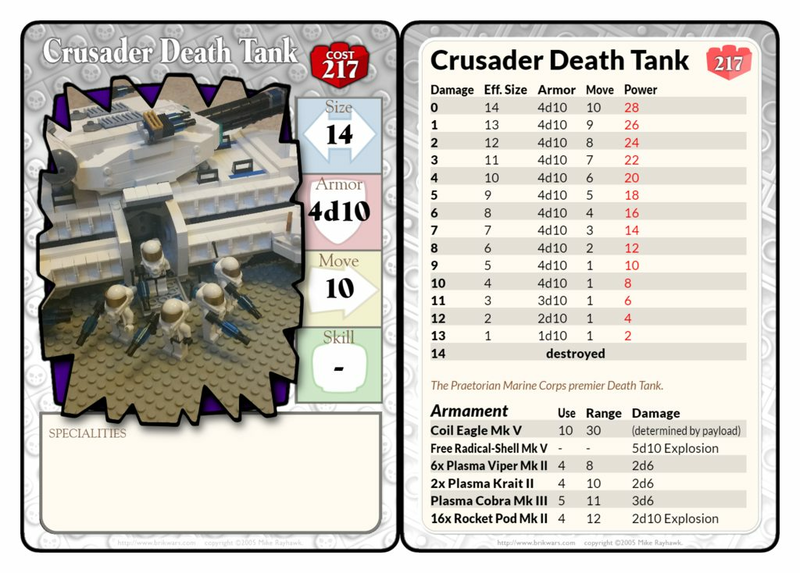 Powered by a micro-fusion reactor, and equipped with Dark Blue Transparent enhanced weaponry, the Crusader will unerringly cut its way into the heart of combat. Weapon systems are the main MkV coilgun, which will be making use of new cannon rules to fire explosive and incendiary rounds. a Dual-MkIII turret mounted on the front of the vehicle. A pair of MkII Turrets mounted on sponsons on either side. Six Dual-MkII Autoguns, 4 of which are mounted underneath the sponsons, and 2 which are mounted on the main turret citadel. Lastly a pair of launch tubes for 16 total MkII Rockets. 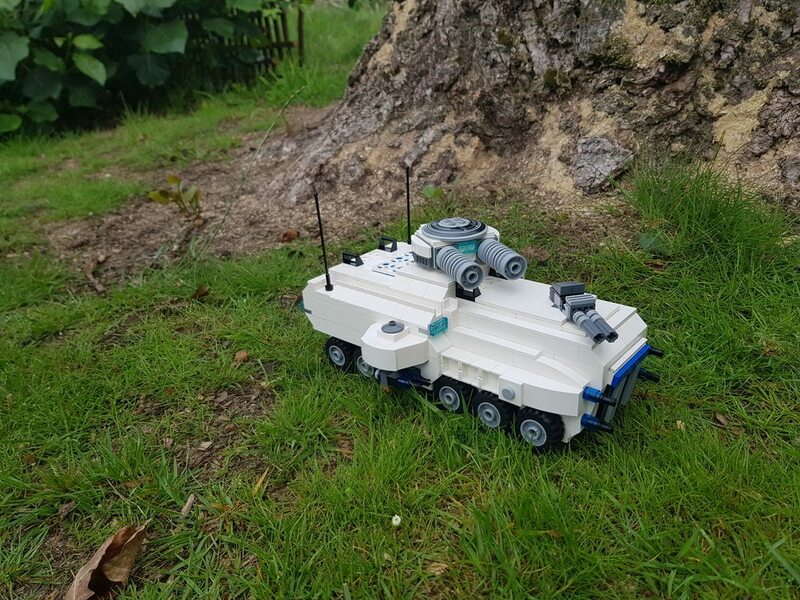 The Crusader is a quad-track vehicle, a design which allows for Infantry to exit on either side of the vehicle, with full covering fire from side mounted weaponry. Behind the armoured ramps is the infantry compartment. 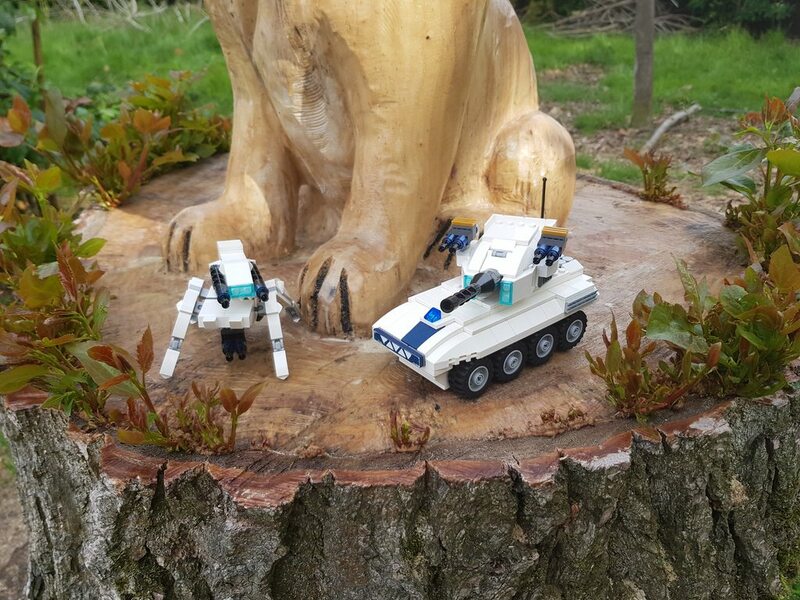 As the Crusader will be expected to operate in a wide variety of hostile environments, the door controls include extensive atmospheric and environmental instrumentation. At maximum capacity 16 marines can be squeezed into the vehicle. The front of the vehicle is given to the command compartment. 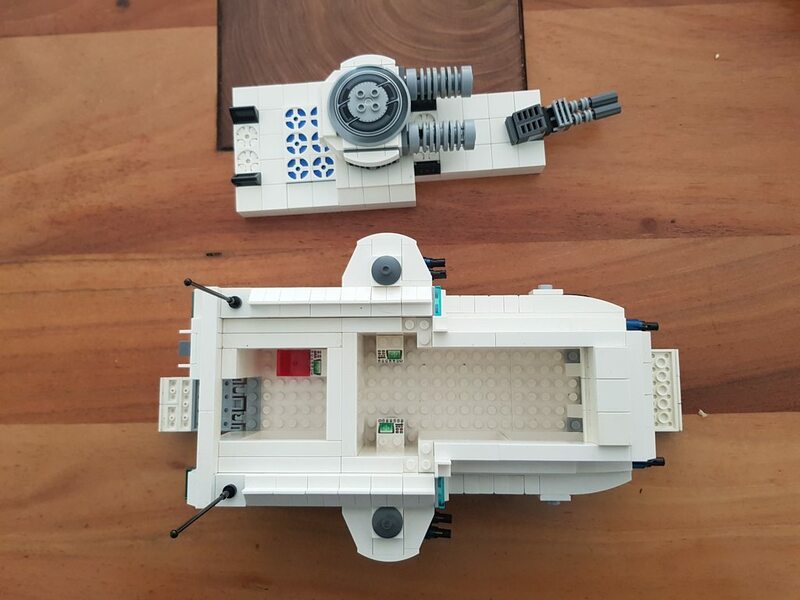 Which includes room for the Tank commander, pilot and two gunners. Behind that is the large infantry compartment. At the rear is the engineering compartment, where a pair of engineers keep the fusion reactor running smoothly, and can diagnose issues on the fly. As the exits lack airlocks, all three compartments are pressurised separately. The rear showing access to the fusion core behind a reinforced plug, as well as some of the ventilation systems. Last edited by dilanski on Thu Dec 28, 2017 10:07 pm, edited 2 times in total. Master Anatolia Argheart (Right) was once one of numerous heirs to the Argheart name, although now is the sole remaining member of the family. Known as one of the more traditionalist houses to survive the purges that lead to Praetoria founding a more robust democracy. Argheart was favoured by the now missing presumed dead Lord Alexander Cromwell. During the Third Alliance occupation of New York, the at the time Colonel Argheart was the remaining ranking military officer of Praetoria's Military forces stuck on the planet. 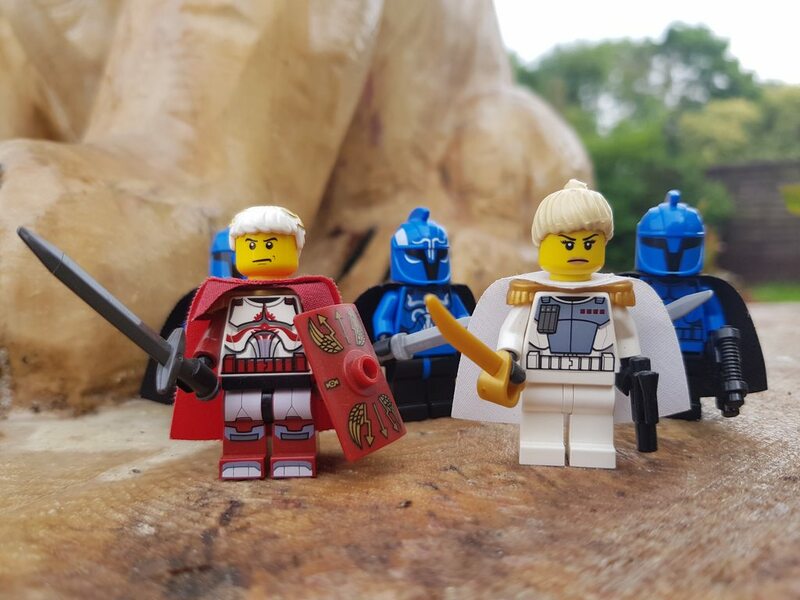 She denied herself evacuation, knowing countless AN troops were still on the planet fighting, and stayed to help lead and fight for the full year before the planets liberation. This earned her much adoration (perhaps sparing her house later rounds of purges). Eventually the Rank of Star Master was bestowed upon her. Currently she is working to clear out Peach Refugee's from the Averkon and Terminate regions, although rumours of her being assigned to a new mission in the Magikellanic Cloud are circling. Her chosen Champion is Idris Pilate (Left), a Veteran from both the Xenkan Incursions and AN-TA war. Pilate served in the now defunct Advance Guard. As a Proxy for Anatolia's will, Pilate spends a portion of his time terrifying bureaucrats into compliance. This lead to a rumour that the sword and shield getup was purely for show, this however has since been disproven, much to the bemusement of Marines who got to see him decapitate peaches by the truckful. So, that was a lot. 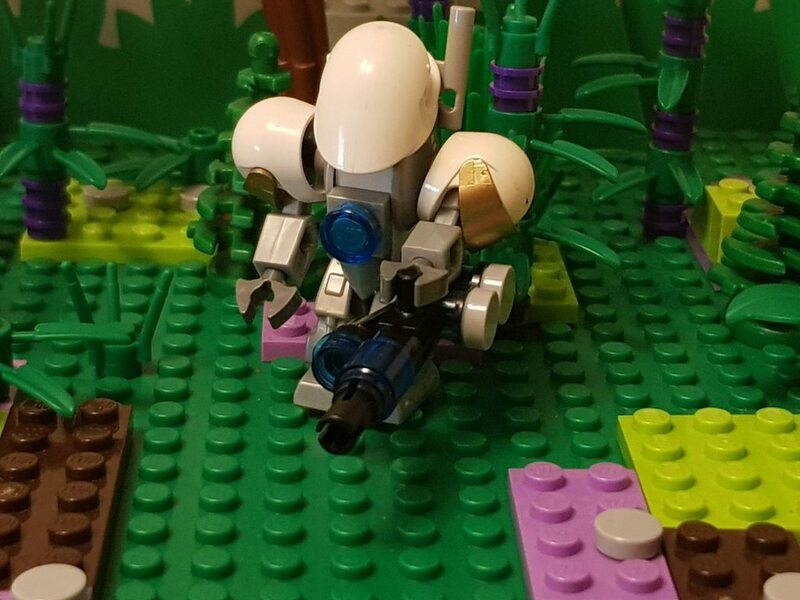 Apologies for the quality of the Overwatch image, I'm struggling to find a good place to shoot it, same thing goes for some of the image qualities, don't yet have a photography setup. Anyway, I'm going for a Codex style post, which I am hoping to keep up to date with new models as I do them. 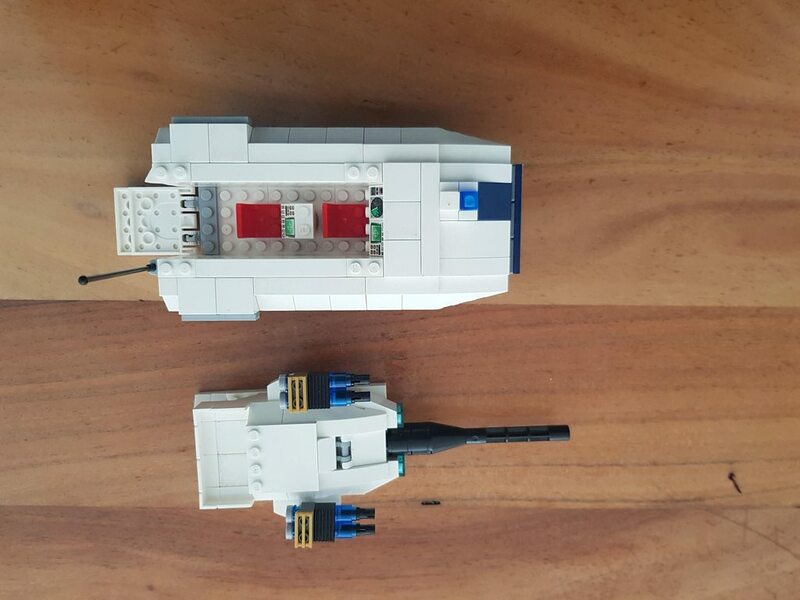 Still have plenty of Lego left, so it is just a case of putting off employment to spend time building. Hoping to add some other bits and pieces as well, and make this thread into the kind of proper comprehensive faction guide I wish every established nation had. 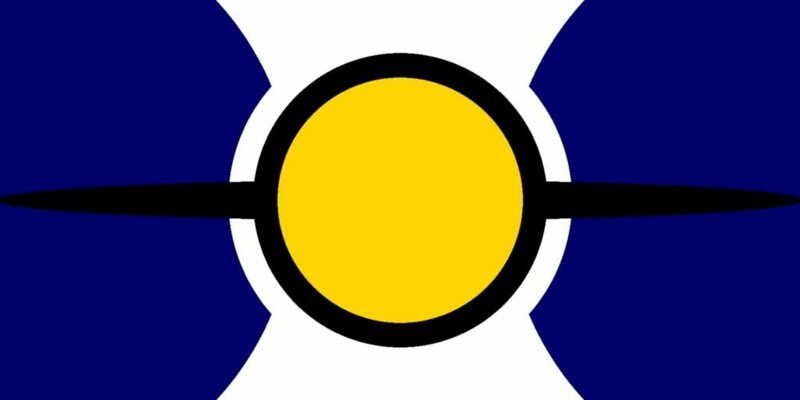 Flag was made a while back using GIMP, which is a freeware, open source Image editor, much like Photoshop in function. And yeah, I you can get it off the ground, this Magikellanic throwdown might be fun. I like your style, btw. Very elegant. Do you have any space forces? 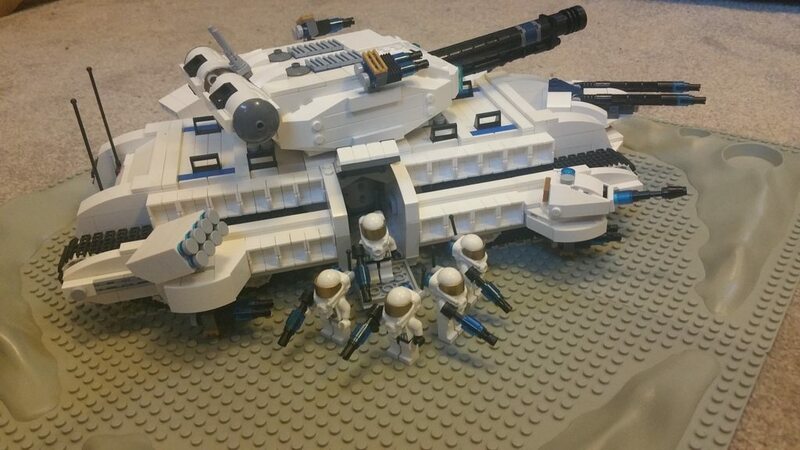 If you "do", and just haven't built or aren't able to build them, I could make up large battles in microscale, as I remember many of the other major wars did. 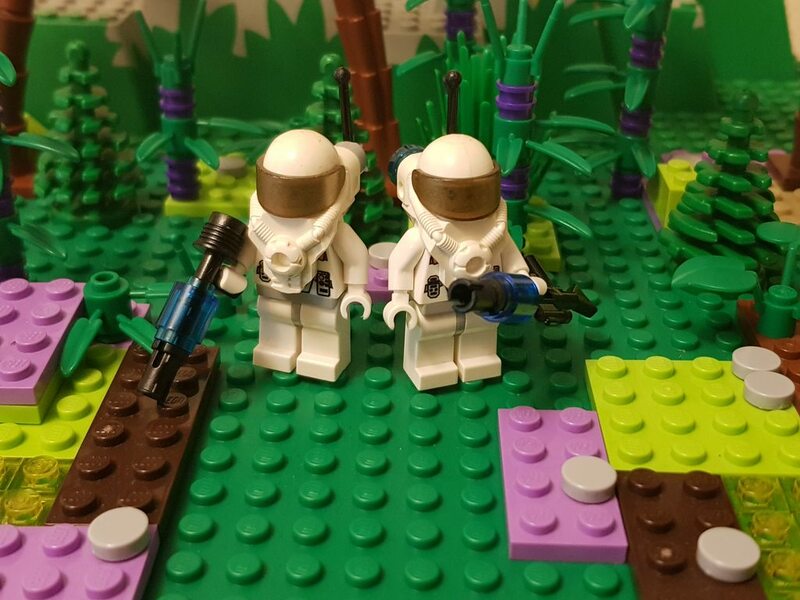 I'm guessing that minifig scale will mostly be used for ground conflicts, and microscale for space. Thoughts?